This Fellowship program seeks to answer the question: What’s next? and looks to the future by bringing together insightful and energetic leadership and emerging models in a convergence of participatory practice and action learning. The new frontier of creative leadership requires new competencies, skills and sensitivities that are adaptive, engaging and relevant. This program aims to introduce an alternative model for professional development that balances traditional structure with increased creativity and experimentation. 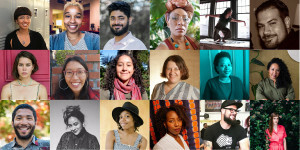 Over the course of nine months, THE FELLOWSHIP is designed to enrich and expand the professional skill-sets of emerging and mid-level leaders working in the Bay Area’s arts and culture field. Principles of networked learning inform the design of the EAP Fellowship program. This model is intended to promote inquiry-based learning that is both empowering and flexible, as it adjusts and aligns to address each Fellow’s specific aims. Fellows should be self-starters, interested in building cross-sector relationships and willing to take an active role in the learning process. From the start, Fellows will work with EAP Leadership to identify specific learning goals and methods for achieving those goals. Milestones, collective expectations and personal benchmarks will then be developed collaboratively. Leadership members will support Fellows by connecting them to ideas, materials, expertise and human resources (e.g., speakers, mentors and/or consultants). They will also coordinate individual goal setting and project timelines, moderate discussions, facilitate problem-solving sessions and supply overall guidance throughout the program. THE FELLOWSHIP expands the skill-sets of emerging and mid-level arts and culture workers through a nine-month personal and professional development curriculum. 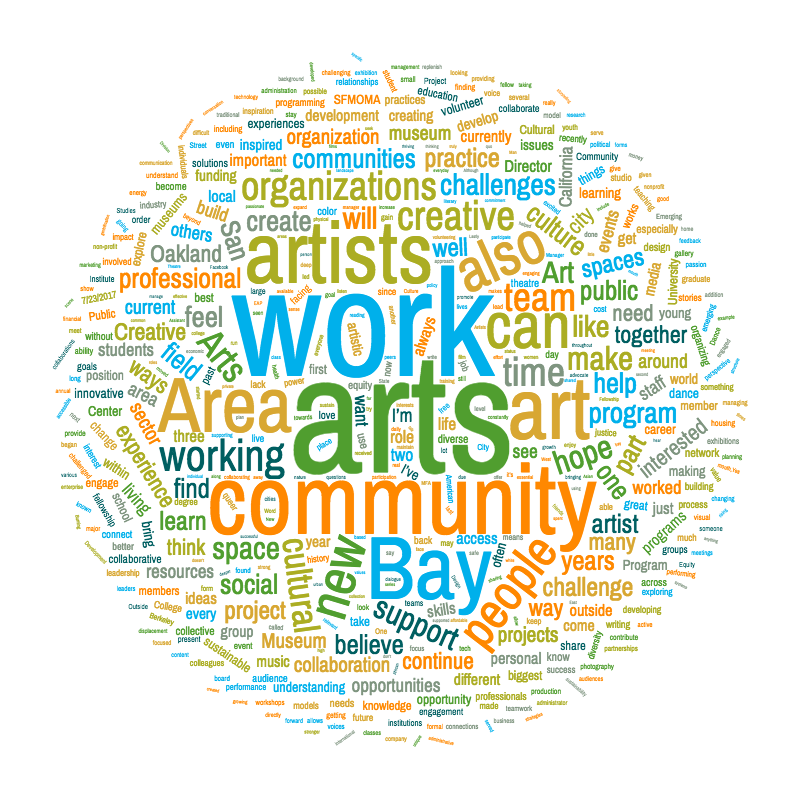 Through participation in this interactive learning cohort you will build relationships across sector, discipline, and role within the Bay Area’s arts and culture field. WHO is a Culture Worker or Arts Administrator? You work in the field of arts and culture, that may be as a teaching artist, a gallerists, curator, non profit organization staff member (who manages or produces arts programming), you may be an independent media maker who publishes or produces events, you might be a community artists who runs your own or another artists programs. You make it possible for folks in your community or beyond to have access to creative and cultural experiences. This program is not intended for individual artists looking to focus on their own individual art practice. I enjoyed getting to know people working in different ways in different corners of the arts ecosystem. When I initially mapped out my networks, it confirmed that the majority of my network is with grassroots activists and organizations. It feels important that I also have a supportive and inspiring network of people who prioritize arts and cultural strategies for social justice and community resilience. Bigger pictures of the Bay Area arts world, personal contacts in many different orgs, valuable perspectives and lines of questioning from very intelligent and powerful people, exposure to current issues and discussion in the field, introduction to leaders in the field…LOTS! Expanding my critical inquiry around our four core themes and bringing that inquiry back to my place of work as well as personal journey as an artist. I also really appreciated my time getting to know different arts workers in the Bay and making new friends. Exposure to and discussion of some very different outlooks from diverse backgrounds. Increased sensitivity to privilege, stepping back, making space.